Padonia residents and visitors will be able to build their bodies with Brick at a bigger and better location by the end of the year. 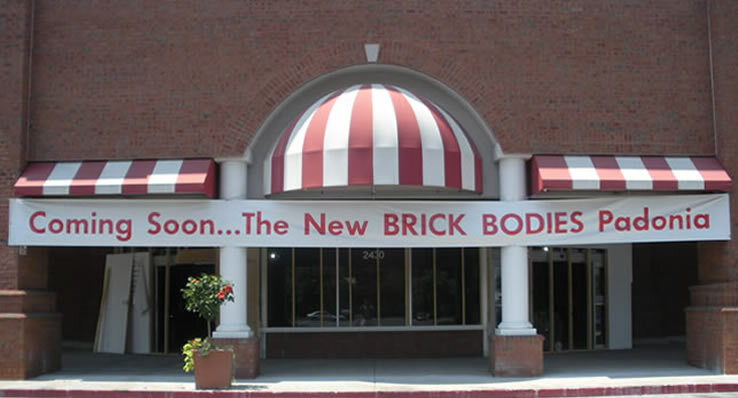 Brick Bodies, one of the top health and fitness club chains in Maryland, has announced the relocation of their flagship Padonia club. The new club will move from its current West Padonia Road location to a much more spacious 58,000 square feet lot on 2430 Broad Avenue, Timonium, Maryland. Along with the amenities Brick Bodies members have come to love and expect, the new club will feature a full-court basketball court, a 6-lane swimming pool, a large therapy pool and a whirlpool. The newly revamped club will also include the largest group exercise room in the area along with three separate studios for yoga/Pilates, boxing and spinning, The childcare space will be the largest in the area and will include it’s own multi-purpose sports court and computer study room. The new Padonia Brick Bodies location is expected to be completed by December while the basketball court and pool has a tentative completion date of January 2013. Brick Bodies Fitness Services, Inc. operates 7 co-ed and women-only health clubs throughout the Maryland area. Along with the Padonia location, Brick Bodies can be found in Downtown Baltimore, Perry Hall, Green Spring and Reisterstown. Woman entrepreneur and MyCity4Her friend Lynne Brick’s two women-only clubs are located in Owings Mills and Belvedere Square.